It happens in households across America on a daily basis. Someone opens the fridge, peers inside and declares there is absolutely nothing to eat. Then two days later a pile of rotten fruit, moldy cheese and expired condiments are discovered and dumped in the trash. While we don’t set out to waste the food we pick up at the local grocery store, Americans throw away more than a third of our food each year, between $1,365 and $2,275 worth of food. Studies have found the main reasons for this waste are confusion about expiration dates and because we can afford to. A 2015 study from John Hopkins found that people thought a leaky faucet or leaving lights on was more worrisome than throwing away food. And, a 2016 Ohio State University study showed that people thought food waste was a problem but were too busy with life to change their habits. Throwing away bad food is not just costing you money and wasting the food itself. The water and energy it took to produce the food and bring it to market are also going to waste. The impact of throwing away food is larger than you might think. Out of sight, out of mind is often a primary cause of produce going to waste. If you forget you purchased fruits and veggies because they are buried in a drawer, switch it up. Put your producer in glass containers with paper towel to absorb moisture and store them on the fridge shelves instead. Use your drawers for something else! 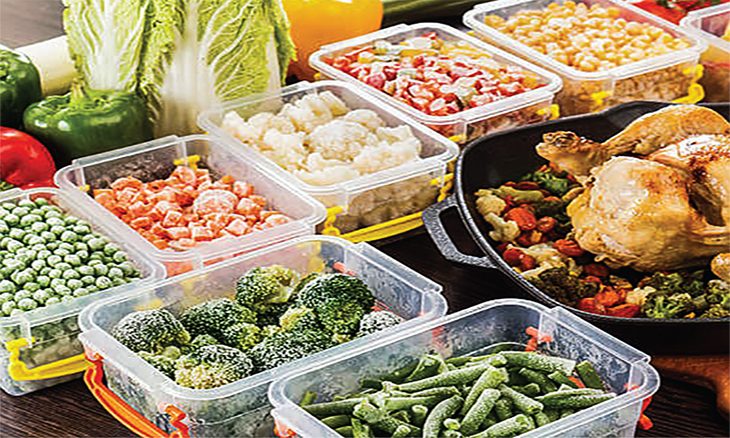 Instead of cooking throughout the week, do all your prep work on the weekend or on one weeknight and store your ingredients in containers already sliced and diced for convenience. All your recipes will be pre-planned, so you are only buying what you need, not what you might use. We have plenty of kitchen innovation that aid us in cooking, meal preparation and deliver service. But, very few that tackle the other end of the spectrum — food waste. Try out one of the online food delivery services so you are only getting the ingredients you need and not impulse buying at the market. And, consider outfitting your refrigerator with the FridgeCam, a retrofit and cost-effective product which gives you never-seenbefore access to your fridge remotely via an app for your smartphone.